Welcome back to The Naturopathic Kitchen, where we explore food as medicine. Armed with knowledge of what is healthy, you can feel empowered to take control of your health. It can be intimidating to try new things especially when you don’t know what it is good for or how to prepare/cook it. Let’s learn together! Today, our focus is on hawthorn. Hawthorn isn’t a typical item that you’d find in the kitchen, but sweet tasting berries with amazing health benefits are too good to pass up. Often called “the heart herb,” hawthorn has long been known for its benefits to the cardiovascular system. Unfortunately, sourcing hawthorn berries is a little more difficult than other herbs we’ve covered in this series. Many of the health benefits can be achieved from hawthorn extracts or even hawthorn jams. Where does hawthorn come from? Where can I find it? Use of hawthorn as a food and medicine dates back to the third century BCE where the berries were eaten raw or cooked and the reddish wood was used to make tools. 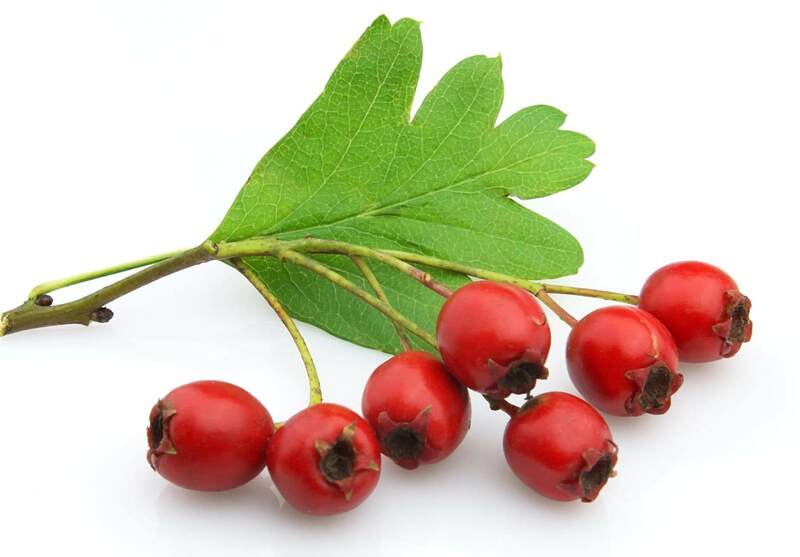 It was widely believed at the time that hawthorn berries, flowers, and leaves were tonifying to the heart and soothing to the gastrointestinal system. But be careful, hawthorn branches are known for their sharp thorns! There are many species of hawthorn offering the same health benefits which grow wild throughout North America. Hawthorn berries are safe to eat and cook with as long as you don’t eat the seeds. Just as with apple seeds, they contain cyanide and can be poisonous in moderate amounts. Hawthorn is most likely found in supplement form and rarely found in the grocery or produce areas. Dried berries and extracts can easily be found online or in specialty herb stores. How does hawthorn help my health? What medical conditions/symptoms is hawthorn used for? When should hawthorn be avoided? Hawthorn is regarded as safe when taken in moderate amounts and has a low side effect profile. The most common side effect is dizziness followed by nausea. Since hawthorn can lower blood pressure, those with already low blood pressure proceed with caution. Hawthorn should also be avoided during pregnancy as there is not enough research to show it is safe during pregnancy and breastfeeding. Let’s try out hawthorn with these tasty recipes! 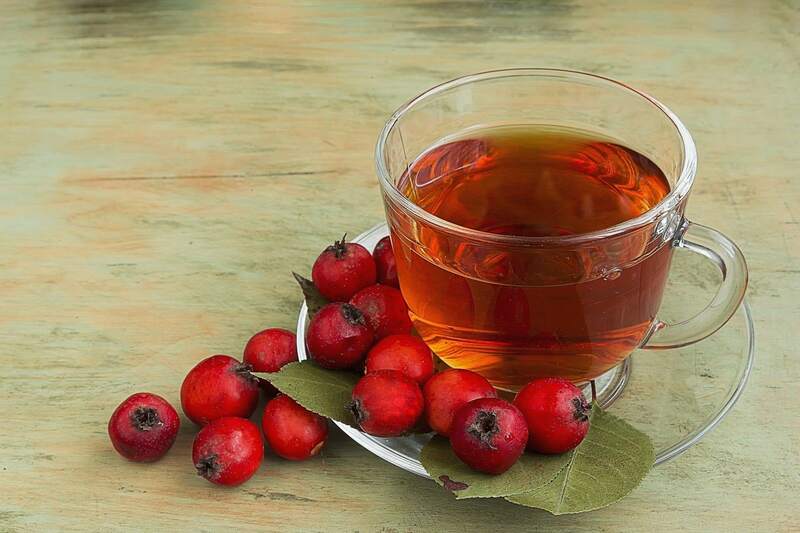 Brew hawthorn into an evening tea, using a tablespoon of dried hawthorn berries per cup of hot water. If you prefer not to drink a lot of fluid right before bed, you can take 1/8 teaspoon of solid extract of hawthorn, which has a syrup-like consistency. Thank you to Bastyr University for this recipe! In a large bowl, stir together the almond butter, honey, almond milk, and vanilla extract. In a small bowl, whisk together the flour, baking soda, and salt. Place the dry ingredients into the wet ingredients (which includes the hawthorn berry mash) and mix just until thoroughly blended. Create balls that are just slightly bigger than golf balls. Press the balls into patties and place them on a baking sheet. Use a small spoon to indent a thumbprint into the cookies. Reshape any large cracks that form on the edges of the cookie dough. Fill each thumbprint with a jam or jelly of your choice. Bake for 9-11 minutes – be sure not to overbake. Thank you to Edible Wild Food for this recipe!